The Strongmaster is a high capacity cartridge filter system that can be manually cleaned with compressed air making it great for extended use. 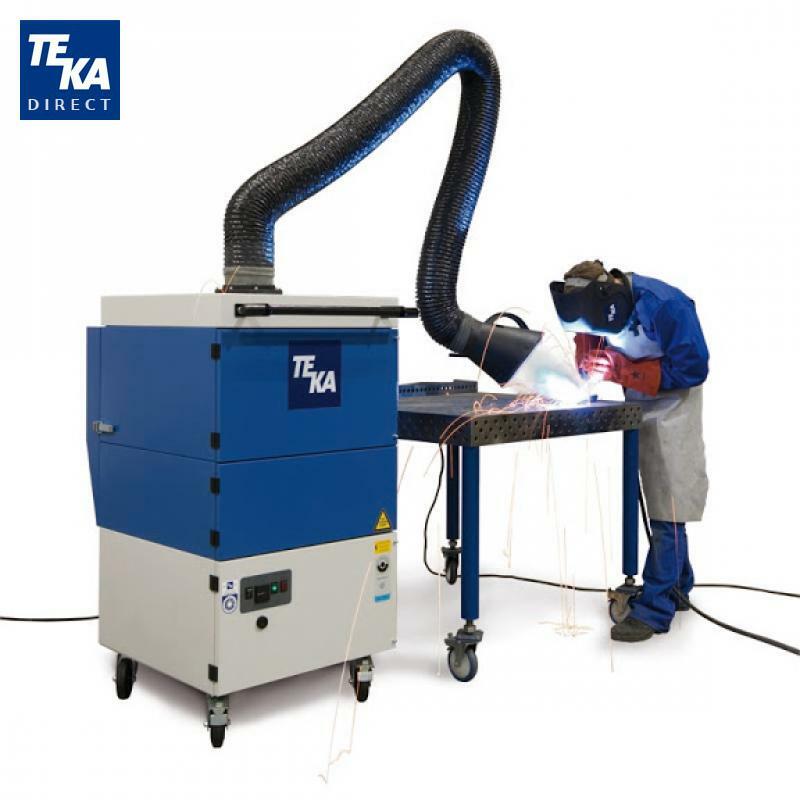 It is ideal for non-alloyed steel, aluminum, and galvanized metal welding applications. 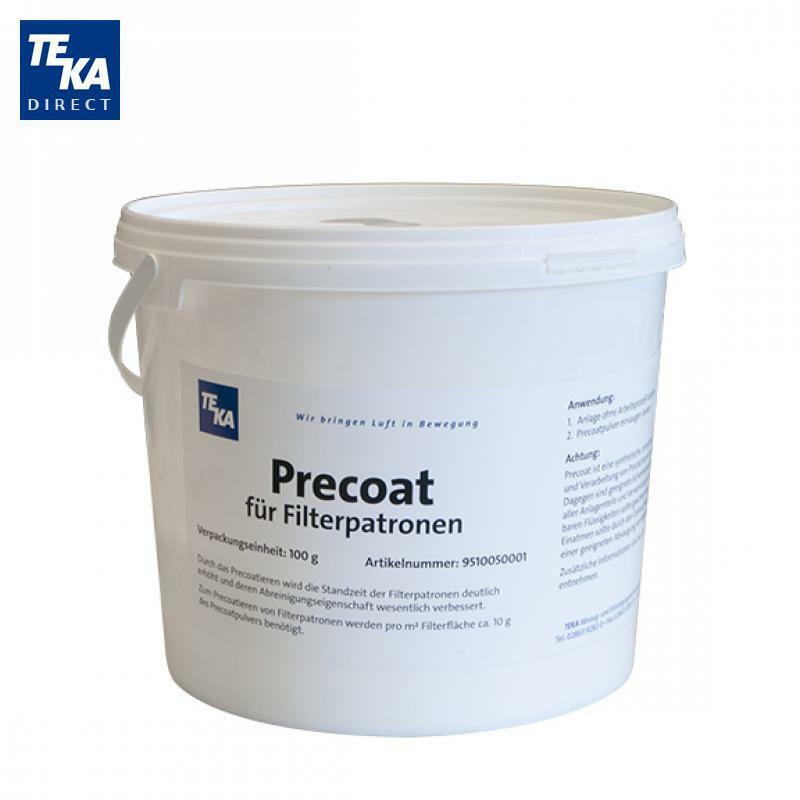 Innovative design and efficient performance keep operating costs to a minimum. The Strongmaster is fitted with a 9 foot, dia. 6 inch hose type suction arm with internal joints and it is compatible with all dia. 6 in. 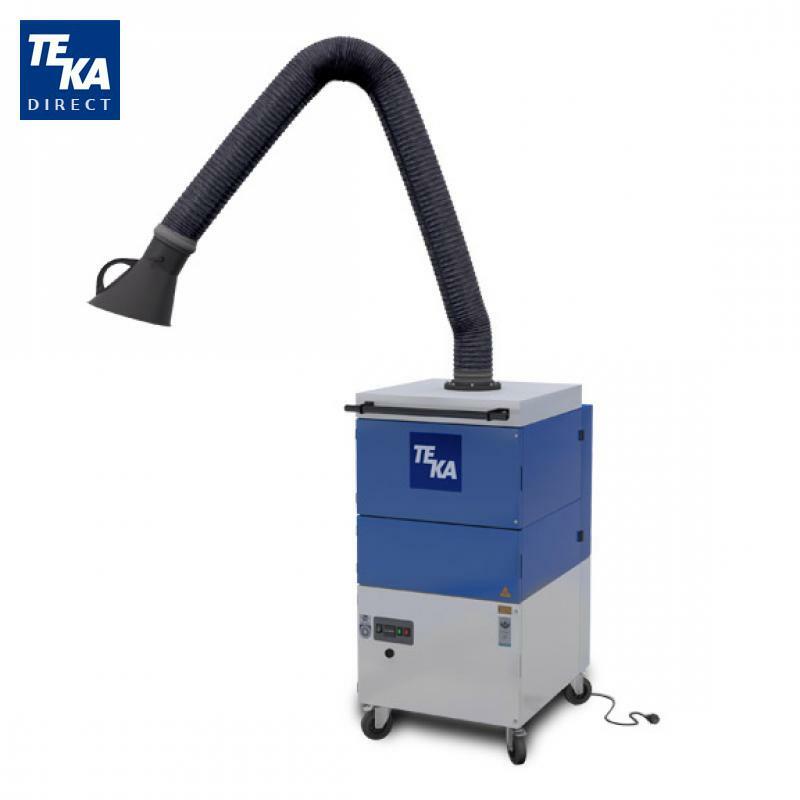 TEKA suction arms. 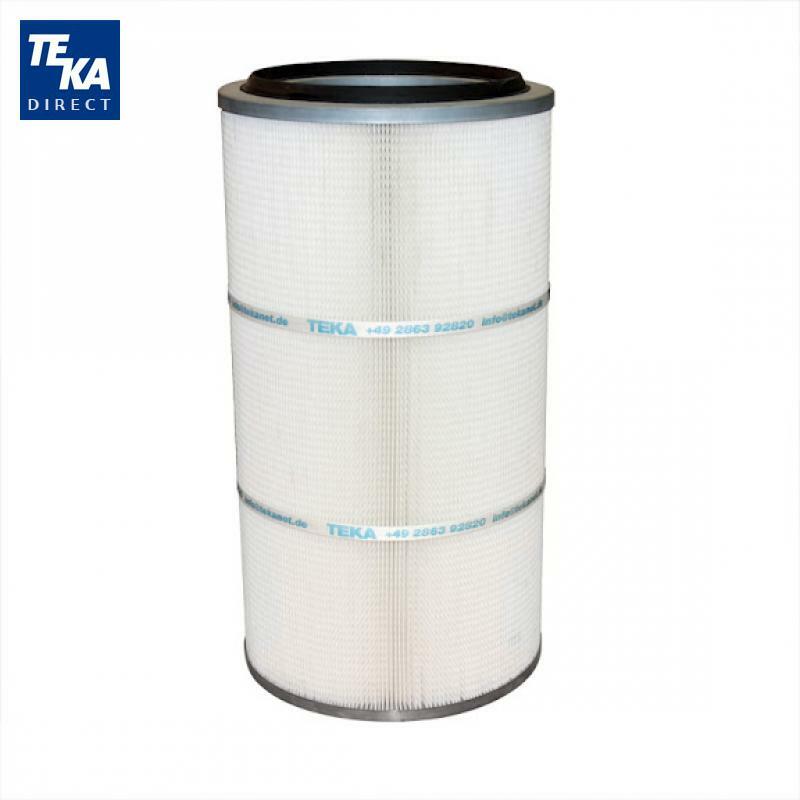 A separator plate is employed to catch large particles and an easily cleaned large surface area PTFE coated filter cartridge (separation efficiency > 99%) removes the remaining fumes and smaller particles. 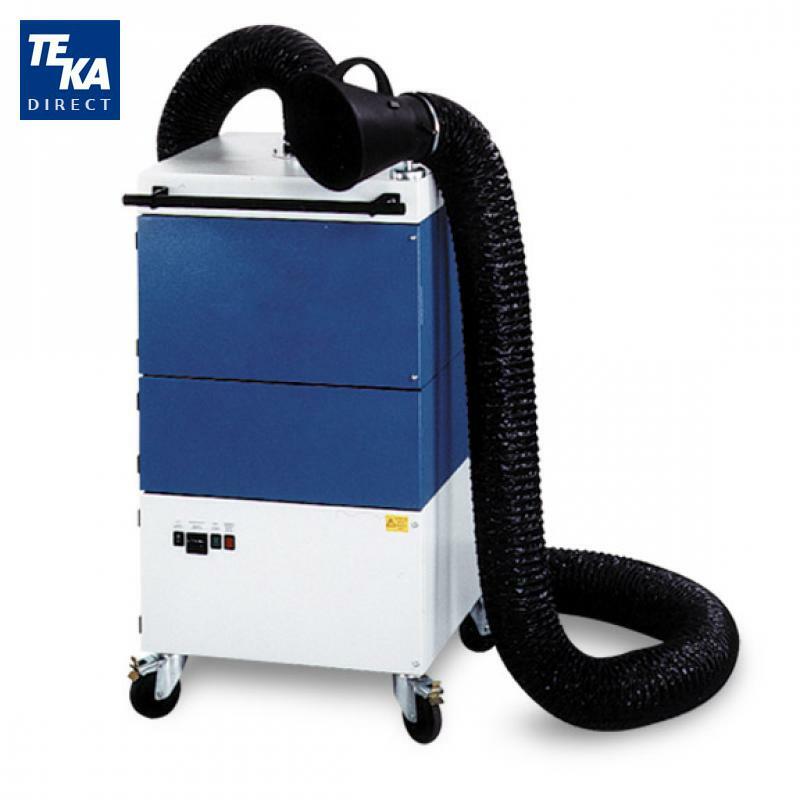 A maintenance door located at the rear of the unit provides access so the cartridge can be sprayed with compressed air when cleaning is needed. Particles removed from the cartridge fall below into a bin where they are held until they can be properly disposed. Keeping the cartridge inside the unit during cleaning prevents dust from spreading into the workspace. A specially sized polyethylene bag can be fitted into the collection bin to make waste removal easier. A high capacity fan draws effluent through the unit and the cleaned air is blown from the backside of the unit through a grill that directs the exhaust upward.